Join us for a $25 All-You-Can-Eat Feast. Including Kona Kahlua Pork, “Huli-Huli” Chicken, and Traditional Hawaiian Side Dishes. Sway to the rythm of the Kalama Polynesian Dancers, free hula lessons & classic Tiki Cocktails. Have you always wanted to learn how to Hula? Hula Happy Hour is your chance! Every Saturday this Summer from 4-5PM, join the Kalama Polynesian Dancers for Hula lessons on our “Broadway Beach” patio! $10 gets you a lesson AND a refreshing Chi-Chi or Mocktail! Also, don’t miss out on our cheap and cheerful Happy Hour specials on tiki cocktails and small plates — which will be well earned after your summer hula workout! Drop in or get advance tickets online. Join us for Happy Hour prices all night long. 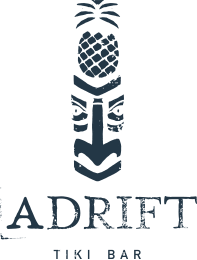 Get out of the cold and into the warmth of Adrift for an all you can eat luau this winter. Our cocktails and hula girls will keep you nice and toasty!